Bitter Orange refers to an herb extracted from the bitter orange plant whose native origin is tropical Asia and Africa. Due to its popularity, this tree is also grown in Mediterranean regions such as Florida and California. Extracts are obtained from different parts of the tree including leaves, peels, fresh flowers and twigs. 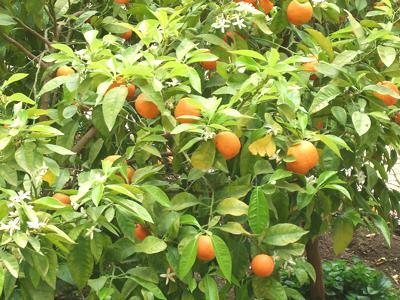 Other Names of Bitter Orange include; Green orange, Kijitsu, Bitter orange peel, Sour orange, Neroli flower, Seville orange, Bigarade, Laranja-amanga, Laranja-cavalo, Bitter orange flower, and Laranja-azeda. According to NCCAM, active ingredients in this herbal extract include: Volatile oil, Hesperidin, Bitter resin, Hesperic acid, Amorphous bitter principle (aurantiamarin)and Isohesperidin. Bitter Orange is a diuretic herb comprising of carminative, aromatic, diuretic and expectorant properties, which are vital in curing digestion and lowering of blood pressure. Peels have anti-inflammatory, choleretic, antifungal and antibacterial activity. Besides, its anti-hyper cholesterolemic activity, it is essential for preventing increased cholesterol levels. Internal uses: Bitter Orange is used internally, for treating diarrhea, as a heartburn remedy and for neutralizing indigestion; while on the other hand, its peels are useful for dyspeptic complains as well as boosting the appetite. Unripe fruits are used in Chinese medicine called Zhi Shi for treating gas and flatulence. External uses: non-bitter flavonoids in Bitter Orange peel poses vital venotonic properties, and therefore being used in cosmetics for prevention of capillary fragility. Still in cosmetics, extract from Bitter Orange are included in numerous cellulite treatments as they act as stimulants for cutaneous tone as well as regularizing the condition. Lastly, Bitter Orange is used in aromatherapy as different parts of it are used in extraction of oils such as: flowers, foliage and twigs, and peels. Neroli, oil extracted from its flowers has varied uses for example: It can be used for fighting anxiety, shock, and depression, calming and lifting the spirits. It is used for relieving diarrhea and muscle spasms, helping in premenstrual tension and being utilized as an aphrodisiac. Application of Neroli on the skin can help in curing of broken or damaged veins and capillaries, improving skin elasticity in addition to stimulating new cell growth and cellular activity. Neroli has antiseptic, aphrodisiac, antidepressant, anti-spasmodic, cordial, carminative, emollient, cytophylactic, sedative, tonic, deodorant and digestive properties. Petitgrain (oil extracted from leaves and twigs). This oil is used for: Calming a racing heart anger and reducing panic, stimulating relaxation of nervous system and muscles. While used on the skin, it helps in clearing of skin blemishes and pimples as it contains a toning effect. Lastly, Petitgrain has antispasmodic, sedative, antidepressant and deodorant properties. Bergamot (oil from peels). Bergamot essential oil is used in: Seasonal affected disorder, depression. Besides, it contains superb antiseptic qualities vital for various skin disorders such as: acne, eczema, psoriasis, cold sores, wounds, oily skin conditions and chicken pox. Additionally, it acts as a stimulant for the stomach, spleen, liver as well as treating cystitis and urinary tract infections. Therapeutic properties of this oil include: cicatrisant, calmative, stomachic, febrifuge, digestive, antiseptic, anti-spasmodic, analgesic, vermifuge and vulnerary. Bitter Orange is used inform of dried peels of fruit which are taken by mouth either inform of tablets, capsules, oil, or extracts. The recommended dosage and administration is 1-2 grams of its dried peel, which is then simmered for about 10-15 minutes in a cupful of water. Per day, it is recommendable to take 3 cups of this decoction while as a tincture; the recommended dosage is 2-3 ml, three times daily. Ingredients in Bitter Orange inhibit intestinal efflux and intestinal CYP3A4 and may also react with numerous medications such as: anxiolytics and antidepressants, antiviral, calcium channel blockers, dextromethorphan, vasoconstrictors, GI prokinetic and weight-loss formula; thereby increasing their reactions. Cardiac side effects: it is believed that Bitter Orange increases blood pressure as it contains a substance known as synephrine which leads to constriction of blood vessels. Constriction of blood vessels inhibits free circulation of blood throughout the body; thereby raising its pressure. Besides, this substance causes tachycardia, a condition that might lead to cardiac problems such as heart attacks and stroke. Skin rash and sun burn: according to National Center for Complementary and Alternative Medicine, application of products containing Bitter Orange increases skin sensitivity thereby being prone to rashes and sun burns.